WL Central will be updating news on China, with new items added at the top. You can contact me on twitter @GeorgieBC or by email atadmin@wlcentral.org. Since Friday, a message has gone out on Twitter that Boxun.com says was forged. The founders of the Jasmine Revolution in China, decided to cancel the action. Watching so many people be arrested and missing, we are deeply ashamed. It was a difficult decision: Please do not go to the afternoon to take to the streets, and the meetings at 2 pm every Sunday is also canceled. A “climate of fear” was also created in the two days prior to scheduled protests, with many midnight raids and arrests of activists. Many activists were invited to “come in for a cup of tea”, the euphemism for an interrogation. The Chinese government is censoring not just the word “Jasmine”, as the name of the revolution, but many other plant names as well, such as “azalea”, “rhododendron” etc. There were two days of heavy snow in Beijing leading up to protests. The BBC describes the paranoia of the government reaction: Dozens of police vans were parked on the roadside, uniformed men with dogs patrolled up and down, street cleaning vans drove up and down spraying water to keep people away, and a sudden rash of suspiciously unnecessary street repairs meant big hoardings had been put up. … All around us it was obvious that at least half the people on the street were plainclothes state security officers. The BBC reporters were beaten, detained and prevented from filming, as were journalists fromBloomberg, CNN and many more. The CNN reporter writes What makes China’s treatment of the international press so bewildering is that there had been no protests for us to cover here. Not that the government should be treating foreign journalists this way under any circumstances, but the authorities have been lashing out with such severity in an attempt to intimidate us even though we have nothing to report. All we would have done this weekend was shown that the streets of Beijing were perfectly peaceful and gone home. My own experience and those of my colleagues show how incredibly terrified and paranoid the Chinese authorities are of any anti-government movement forming in China. When passing through Tiananmen Square, there are far fewer visitors, and many guard, patrol, and military police. Getting off at the Chang’an Avenue, Wangfujing Street cannot be entered, police and police cars are everywhere. North along Wangfujing Street, near McDonald’s, it is like the street is a police officer, it is so covered with heavily armed police. Chang’an Avenue from the southern tip of Wangfujing Street is almost all uniformed police standing and walking. In the surrounding area there are a large number of police cars and police on standby in the ambush. McDonald’s is the center of the whole situation as to form a pocket. The McDonald’s is located at the center front of the street, the ring fenced up with about 100 square meters, with signs saying “construction maintenance”. McDonald’s restaurant is still thriving, very busy, with the obvious difference is that there are many not eating and much security. The second floor had more than a dozen transparent windows onto the street which are now pasted with colored paper. (On February 20 afternoon there were a lot of onlookers watching and taking pictures here.) In the entire second floor of the restaurant there is a an oppressive atmosphere. Sitting on the second floor of the restaurant are a lot of Westerners, but not customers, it is clear that there are many plain-clothes officers. 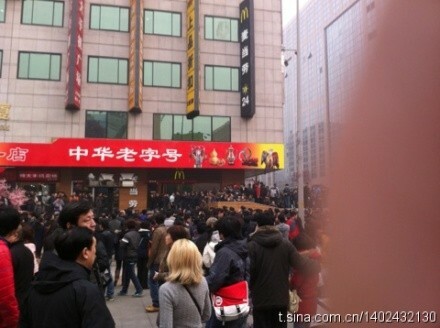 At 2 o’clock, at the narrow entrance of McDonald’s, the disorder on the streets of the “visitors” increased significantly. Police are also tense. McDonald’s closed the door to the east, which reads: “This door is bad, please take the side door”. Wangfujing Street in the mouth of the southernmost tip of the Chang’an Street, the police cordoned off altogether, to prevent pedestrian access, they will only be allowed out. At McDonald’s steps in front, the police are not allowing pedestrians to stay, not even the passing line. About 2:20 or so, the police station on both sides of the wall and adults are not allowed in, only allowed out. The “wall” inside of the police and plain clothes kept shouting: “Go look, go look, do not stop.” A water truck sprayed ten meters long in front of McDonald’s, back and forth. Next were a large number of cleaners with a broom, swinging. The crowd was spitting white foam of the spray. Chengdu, Tianfu Square has flower beds cordoned off the edge, the open space under the subway is also cordoned off leaving only the channel for access, where you cannot stop. The entry to the junction of the larger square is covered with police. At around 2:30 PM, it seems that the “core” location at Daibu Zhu had many onlookers gathered around, like Wangfujing Bookstore, and other places. 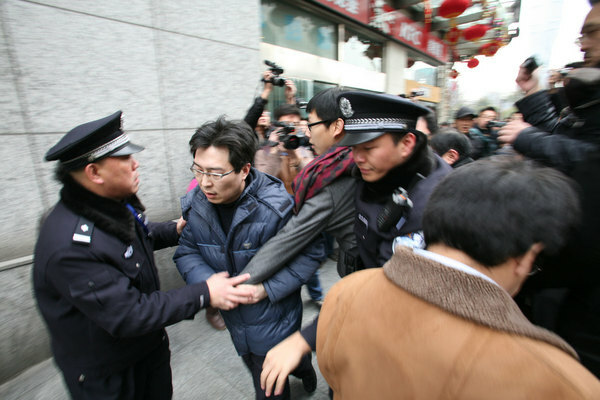 The police and plain clothes police dispersed the crowd: “Do not stop, leave it.” Near the front door Chang’an Avenue, a young man with a flower in his hands was caught by police after some scuffling. The presence of foreign nationals was under great pressure, the police in the alley entrance demanded examination papers. If police saw the Westerners drive by, they were advised away. Public photography is almost impossible, too risky, only use camera phone. In Beijing, 1,227 guard police, ridiculous, stupid, brutal living dead scared to death, in Beijing’s most bustling downtown, perhaps the world’s most dangerous place, if you have a flower in your hand you will be immediately arrested, this may have been a good Sunday, but only to dispatch thousands of police in Beijing on such a small place to control and mobilize the urban construction, urban management, sanitation and even foreign companies, so vast an action. A good collection of Twitter statements. Since the first tweet calling for “Jasmine Revolution” protests went viral on the Chinese Internet, the Chinese state machine has gone into overdrive to prevent this imagined uprising. Among other visible measures such as arresting activists, censoring the Chinese Internet, and sending police to every designated “protest” site, Chinese Twitter users have noticed that suddenly a new group of Chinese Twitter accounts opened and became active during the last week. Some of these accounts have forged the names of activists and even included avatar photos of dissidents and activists. Most of the messages sent from these accounts, which have been tracked and compiled by other Chinese Twitter users, include pro-government comments typically sent by the so-called 50 Cent Party. Videos of protests are below, but the first is a summary. As China gears up for the Year of the Rabbit, the nation’s Communist authorities have censored a bunny cartoon with political overtones. The Chinese New Year – which falls this year on February 3 – is the country’s biggest holiday. Families come together for several days of feasting and gift-giving. But, this year, a New Year-themed cartoon posted on a popular Chinese website seems to have rankled officials. Censors have deleted the video, in an apparent reaction to its biting political satire. The three-minute animation begins with rabbit babies being poisoned, a blatant reference to a recent toxic milk scandal that left six children dead. The rabbits are then forced to attend a political meeting with a group of vicious-looking tigers who promise a “harmonious forest”. That is a thinly-veiled gibe at the Communist party’s favourite, much-mocked slogan, “Harmonious Society”. The tigers then proceed to set the bunnies on fire, bulldoze their homes, and run down rabbit pedestrians. In the midst of the carnage, the tigers instruct them to remain obedient and “not speak out of turn”. 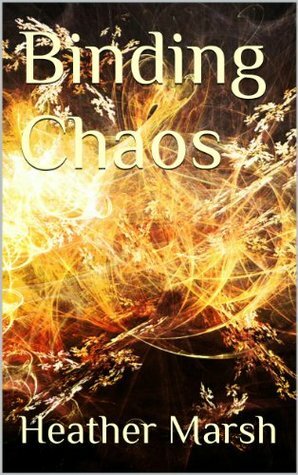 Many in China will see obvious parallels with current events. A fire in a Shanghai block of flats last year left more than 50 dead and caused an outcry over substandard buildings, while forced evictions to make way for new property developments have sparked dissent. Most recently, a hit-and-run accident involving the son of a local police chief – who then tried to evade arrest – focused attention on nepotism and corruption. The cartoon’s creator “kirjabing” has reportedly said he sees no connections with Chinese society. But the censors obviously disagree. They may have been most disturbed by the animation’s final scenes, in which the rabbits themselves turn savage and attack the tigers. The message for many is clear: pushed too hard, the Chinese people may one day rise up and overthrow their Communist leaders. The boxunblog.com site has asked again for what it called “strolling protests” against the ruling Communist Party at 2pm on Sunday. The protests are now described as a game to be played every Sunday at 2:00, with the following players: the people who started the game; the police; the on-lookers, in a central fixed position, being careful not to provoke police reaction, be aggressive or make unnecessary sacrifices early in the game; the passers-by, who have the potential to be reserve power and add force – they may not know of the protests or may be more cautious, but they are expected to swell the numbers of on-lookers eventually; and the overlookers, which are onlookers and passers-by at a greater distance. The object of the game at this point is to change the balance of power between the police and the protesters, and to do nothing to provoke a police reaction until crowd numbers are high enough to withstand the police. “We invite every participant to stroll, watch, or even just pretend to pass by. As long as you are present, the authoritarian government will be shaking with fear,” it said, with much truth if the police presence last Sunday is any indication. China had predictably blocked internet searches for Egypt and other protesting countries. According to the Telegraph, three Chinese internet users have been charged with subversion for re-posting information regarding the Jasmine revolution, “a Hong Kong-based civil rights groups has reported”. The head of China’s intelligence and security services said on a February 21 that Beijing should make “social management”, controlling the public to prevent protests or other incidents, a top priority. According to many, the Chinese government was overreacting to a joke but others are reading more into the movement. STRATFOR noticed the gatherings occurred in cities other than the 13 listed in the anonymous call for protests published Feb. 19 by North Carolina-based Boxun.com. In particular, Nanning, the capital of Guangxi Zhuang Autonomous Region, saw gatherings that may have involved hundreds of people, and residents of other cities, including Urumqi, Xining, Fuzhou and Anshan, went to appointed places of gathering at the same time demonstrations were being held in Beijing and Shanghai, two cities included in the Boxun list. (Boxun was founded by Chinese expatriate Watson Meng and is banned in China.) While no protests were reported in Urumqi, Xining, Fuzhou or Anshan, that people tried to assemble in those cities suggests they had been informed of the planned events through channels other than Boxun. Some have even posted messages on Boxun’s message board saying they had shown up but that there were too few people at the gatherings to stage a real demonstration. It appears some groups of people, including elderly Chinese concerned about land seizures — who are less likely to circumvent Chinese censors and gain access to banned foreign websites — appeared at the designated sites, raising questions about how they could have been informed. There are also questions about the events themselves. They were more like public gatherings than actual protests. There were no banners, posters or flags, just people milling about, talking among themselves and to passers-by. The messages circulating in China calling for people to come out directed them to the appointed places and instructed them primarily to exchange opinions with others. It remains unclear who sent the messages and organized the gatherings — Boxun claims it only forwarded the Feb. 19 call for protests — and whether people were also told not to engage in aggressive protest behavior. 2:50 PM A paranoia in Beijing today, police are guarding all the roads, a large number of “red armbands marked” street patrols. Many people were controlled at home, not allowed to go out. Thousands of people in Wangfujing, but how many tourists, how many lurkers, how many plain-clothes police officers, it is difficult to distinguish. China Mobile, China Unicom has blocked the word “Jasmine”. “Many rights defenders have disappeared (into police custody) in recent days, others are under house arrest and their mobile phones are blocked.The police detachment outside my door has increased. They follow us if we go out,” rights attorney Ni Yulan told AFP. Prominent rights lawyers Jin Bianling, Teng Biao, Xu Zhiyong and Jiang Tianyong have been detained by police, according to their friends and family. From @LiberationtechAs reported by netizens, authorities of Guangdong & Jiangsu ordered teachers & students in colleges not to leave campus. Over 100 journalists, big crowd & police. I’m betting some protesters there, but too scared to chant. Young man hoping to see, perhaps participate in protest turned to me & said “It didn’t work”. Whether it works or not, important thing is ppl to break sense of invincibility of Chinese regime, break fear factor. In northern city Harbin, police cars blocked central square. Mass protesters are moving toward Sofia Church area. Physical confrontation happened when police surrounded a men with a jasmine. 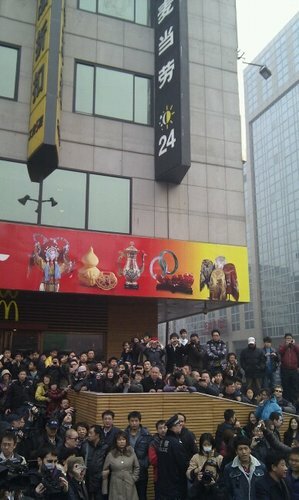 (via watchmen725) Two plainclothes took him from front of McDonalds and shoved him around the corner. When u type jasmine, it says “according to relevant laws, regulations & policies, some search results not displayed.” Did talk to Chinese who came for the #cn220 protest. Summary: It didn’t work. And government don’t care about the people. No crowd gathered in Hangzhou Department Store bc there were more than 20 uniformed officers, said they were conducting emergency drill. Guy w white flowers forced away by police said: “I found em in trash & thought it was pity to throw them” conflicting info RT @great__firewall: Jasmine Revolution not blocked on Google in China. “I go home & get lucky on road see 12 cars near bus station, abt 20 ppl picked up in Guangzhou & put in van”At this pt all reports are consistent #CN220 seems not to have worked. Would appreciate if #China activists could share learnings w/us. Photo from Beijing protest location. 7:30 AM Protest sites covered with police. noon plainclothes men (suspected of State Security), said he people today took to the streets to prevent social disorder … realize the consequences of you, this is a very serious political problem, talk about bad online about politics, to what purpose. Cherish your work, not talk about politics. Liang Xiaojun: workers surrounded by the police, the Wangfujing stop full of police cars, there are emergency vehicles. Tianfu Square is full of police, ten meters of a post, a lot of new frame camera, teams of armed police to walk around. No one thirty when we started sitting in a chair, and to prohibit photography peddlers, and police greatly increased. Harbin, the former movie theater, many police officers, police cars, not close to square, people walking to hang District Sofia Cathedral Square movement. Wangfujing site: more than 100 uniformed police officers. Beijing about 2:35 pm: more and more people, more and more police officers, journalists are also many, just that they were attempting to arrest people we rescued, now cleared. Blue Blood mantis: is the public plaza in Shenzhen, and now many people here, but see at least three police cars and 20 police officers and the Police Association over the distribution of each corner. Wangfujing) field is crowded with people, the police are pulling a hand-held young jasmine, live more than 300 police. From @LiberationtechIt seems that #CN220 students are coming out & police are telling them it’s a false rumor, go home. A common notice in campus: Recently some outlaws are holding illegal gatherings. Be alert! Do not spread rumors! Do not participate! 5:00 AM Protests called for Beijing, Shanghai, Tienjin, Nanjing, Xi’an, Chengdu, Changsha, Hangzhou, Guangzhou, Shenyang, Changchun, Harbin and Wuhan at 2pm on Sunday (Feb. 20). Temporary website for China’s Jasmine Revolution, a great resource. Already reporting rumours of house arrests, people missing and confiscated material. This is a tempoorary site set up after the first site was attacked. Su Yutong, an activist who now lives in Germany, listed on Twitter at least 14 people who had been taken away so far and called that count incomplete. China blocks searches for the word “jasmine” on the largest Twitter-like microblog. Despite the Great Firewall, China is not oblivious to what is happening in the Arab world and elsewhere, and the revolution is coming, though with far more stealth required. China has far more sophisticated methods of dealing with both censorship and dissent than the Arab nations, and are capable of even more brutal disregard of human life. Unlike Gaddafi, who reportedly threatened to kill all the Benghazi citizens and replace them with central Africans, China has always had millions of people to spare. They are also far more oblivious to outside pressure or disapproval. But the same millions that allow them to disregard small protests would make a mass revolution impossible to combat. In response to the earlier jasmine revolution, China’s civil society has been scheduled tomorrow in all the major cities will be held at Ren, expressing the aspirations of the Chinese Communists. Although the Social Democratic connections in Hong Kong, but also for the response. Whether you are a stone baby’s parents, relocatees, social tenants, Rehabilitation in ex-servicemen, private teachers, bank buyouts, laid-off workers, or petitioners; whether you are or on the “money goes will be the case,” concluded dissatisfied do not like someone says “Dad Gang” does not like to be asked, “a rational treatment of social justice”, or actor does not like to see temperature performance; whether you are a signatory to the Charter Lingba, Falun Gong practitioners, or the Communist Party members of democratic parties; or you’re just a spectators; at this moment, you and I are Chinese, you and I are a dream for the future of the Chinese people, we must be responsible for their own future for our children’s future responsible. We just need to come to a designated place, far from the crowd, silently follow, the flow, you bravely shouted the slogan, perhaps, from this moment of history began to change. Come together, are brothers and sisters, please help each other. In the event of adverse treatment of persons involved in meetings with the maximum tolerated treatment, others also please support. The end of the meeting, do not leave rubbish, the Chinese, are of high quality, the pursuit of democracy and freedom is conditional. If this failed to hold meetings convened by the city, every Sunday afternoon in the two continue to live before, persevering! Not listed in a place of meeting in this city, your own focus to the city center square. This entry was posted in Wikileaks Central and tagged China, News, Protest, Revolution. Bookmark the permalink.